We are engaged in offering our clients with high quality acid-proof and insulated Stand Offs. Our range is totally customized as per the client’s requirement and manufactured using the finest grade metals. These are in compliance with the industry standards and are easily available at competitive prices in the market. 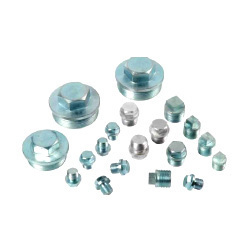 We have gained recognition as an eminent enterprise, devotedly engaged in manufacturing and supplying a broad range of Mechanical Fasteners. - 55 X 16 X 05 MM. - 225 X 27 X 05 MM.